Jack P. Shonkoff, M.D., is the Julius B. Richmond FAMRI Professor of Child Health and Development at the Harvard T.H. Chan School of Public Health and Harvard Graduate School of Education; Professor of Pediatrics at Harvard Medical School and Boston Children’s Hospital; and Director of the university-wide Center on the Developing Child at Harvard University. He currently chairs the National Scientific Council on the Developing Child, whose mission is to bring credible science to bear on public policy affecting children and families, and The JPB Research Network on Toxic Stress, which is developing new measures of stress effects and resilience in young children. Under the auspices of the National Academy of Sciences, Dr. Shonkoff served as Chair of the Board on Children, Youth, and Families from 1997 to 2000, and led a blue-ribbon committee that produced the landmark report in 2000, From Neurons to Neighborhoods: The Science of Early Childhood Development. In 2011, he launched Frontiers of Innovation, a multi-sectoral, science-based R&D platform committed to achieving breakthrough outcomes at scale for young children facing adversity. 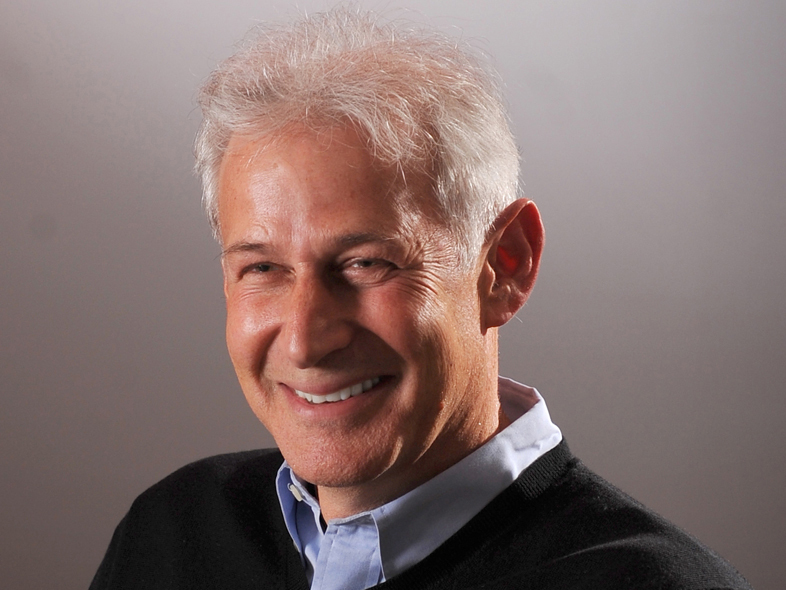 Dr. Shonkoff has received multiple professional honors, including elected membership in the National Academy of Medicine, the C. Anderson Aldrich Award in Child Development from the American Academy of Pediatrics, and the Distinguished Contributions to Social Policy Award from the Society for Research in Child Development. He has authored more than 150 publications and has been a visiting professor or delivered named lectureships at more than 35 universities in the United States and around the world. Dr. Shonkoff completed his undergraduate studies at Cornell University, medical education at New York University School of Medicine, pediatric training at Bronx Municipal Hospital Center and Albert Einstein College of Medicine, and fellowship in developmental pediatrics at Harvard Medical School and Boston Children’s Hospital. Prior to assuming his current position, he was the Samuel F. and Rose B. Gingold Professor of Human Development and Social Policy and Dean of The Heller School for Social Policy and Management at Brandeis University. Shonkoff, J.P. (2017). Rethinking the Definition of Evidence-Based Interventions to Promote Early Childhood Development. Pediatrics, 140(6), e20173136. Shonkoff, J.P., Radner, J.M., Foote, N. (2016). Expanding the Evidence Base to Drive More Productive Early Childhood Investment. The Lancet, 389(10064), 14-16. Shonkoff, J.P. (2016). Capitalizing on Advances in Science to Reduce the Health Consequences of Early Childhood Adversity. JAMA Pediatrics, 170(10), 1003–1007. Shonkoff, J.P. (2014). A Healthy Start Before and After Birth: Applying the Biology of Adversity to Build the Capabilities of Caregivers. In K. McCartney, H. Yoshikawa, & L.B. Forcier (Eds. ), Improving the Odds for America’s Children (pp. 28-39). Shonkoff, J.P. (2014). Changing the Narrative for Early Childhood Investment. JAMA Pediatrics, 168(2), 105–106. Shonkoff, J.P., and Fisher, P.A. (2013). Rethinking evidence-based practice and two-generation programs to create the future of early childhood policy. Development and Psychopathology, 25(4, part 2), 1635–1653. Shonkoff, J.P. (2013). Strengthening Adult Capacities to Improve Child Outcomes: A New Strategy for Reducing Intergenerational Poverty. Spotlight on Poverty and Opportunity: The Source for News, Ideas and Action, (April 22). Radner, J.M. and Shonkoff, J.P. (2012). Mobilizing Science to Reduce Intergenerational Poverty. Eds. N.O. Andrews and D.J. Erickson, Investing in What Works for America’s Communities (pp. 338-350). San Francisco: Federal Reserve Bank of San Francisco and Low Income Investment Fund. Shonkoff, J.P. (2012). Leveraging the Biology of Adversity to Address the Roots of Disparities in Health and Development. PNAS, 109 (Suppl. 2), 17302-17307. Shonkoff, J.P., Richter, L., van der Gaag, J., and Bhutta, Z.A. (2012). An Integrated Scientific Framework for Child Survival and Early Childhood Development. Pediatrics, 129 (2), 460-472. Garner, A.S., Shonkoff, J.P., Siegel, B.S., Dobbins, M.I., Earls, M.F., McGuinn, L., … & Wood, D.L. (2012). Early Childhood Adversity, Toxic Stress, and the Role of the Pediatrician: Translating Developmental Science Into Lifelong Health. Pediatrics, 129 (1), 224-231. Shonkoff, J.P., Garner, A.S., Siegel, B.S., Dobbins, M.I., Earls, M.F., McGuinn, L., … & Wood, D.L. (2012). The Lifelong Effects of Early Childhood Adversity and Toxic Stress. Pediatrics, 129 (1), 232-246. Shonkoff, J.P. (2011). Protecting Brains, Not Simply Stimulating Minds. Science, 333(6045), 982-983. Fox, N.A. and Shonkoff, J.P. (2011). How Persistent Fear and Anxiety Can Affect Young Children's Learning, Behaviour, and Health. Early Childhood Matters, (June), 8-14. A publication of the Bernard van Leer Foundation. Shonkoff, J.P. (2011). Building a Foundation for Prosperity on the Science of Early Childhood Development. Pathways, (Winter), 10-15. Shonkoff, J.P. and Bales, S.N. (2011). Science Does Not Speak for Itself: Translating Child Development Research for the Public and Its Policymakers. Child Development, 82 (1), 17-32. Shonkoff, J.P. and Levitt, P. (2010). Neuroscience and the Future of Early Childhood Policy: Moving from Why to What and How. Neuron, 67 (5), 689-691. Shonkoff, J.P. (2010). Building a New Biodevelopmental Framework to Guide the Future of Early Childhood Policy. Child Development, 81 (1), 357-367. Shonkoff, J.P. (2009). Mobilizing Science to Revitalize Early Childhood Policy. Issues in Science and Technology, 26 (1). Shonkoff, J.P., Boyce, W.T., McEwen, B.S. (2009). Neuroscience, Molecular Biology, and the Childhood Roots of Health Disparities: Building a New Framework for Health Promotion and Disease Prevention. JAMA, 301 (21), 2252-2259. Knudsen, E.I., Heckman, J.J., Cameron, J.L., and Shonkoff, J.P. (2006). Economic, neurobiological, and behavioral perspectives on building America’s future workforce. PNAS, 103 (27), 10155-10162. Half a century of research has shown that early childhood interventions can produce positive outcomes, but our understanding of what works best (and least) for whom remains minimal. In this Pediatrics commentary, Center Director Jack P. Shonkoff, M.D. discusses a recent review of pediatric interventions (Peacock-Chambers, et al. ), and the need to leverage scientific knowledge, on-the-ground experience, and authentic parent engagement to improve the effectiveness of early childhood interventions. Suggested Citation: Shonkoff, J.P. (2017). Rethinking the Definition of Evidence-Based Interventions to Promote Early Childhood Development. Pediatrics, 140(6), e20173136. Suggested Citation: Shonkoff, J.P., Radner, J.M., Foote, N. (2016). Expanding the Evidence Base to Drive More Productive Early Childhood Investment. The Lancet, 389(10064), 14-16. In this Special Communication to JAMA Pediatrics, Center Director Jack P. Shonkoff emphasizes the need to develop practices and policies to address adverse childhood experiences from the prenatal period through the first 3 years of life to prevent and manage stress-related disorders. Suggested Citation: Shonkoff, J.P. (2016). Capitalizing on Advances in Science to Reduce the Health Consequences of Early Childhood Adversity. JAMA Pediatrics, 170(10), 1003–1007. Building on knowledge about early brain development and its impact on lifelong learning, behavior, and health, Center Director Jack P. Shonkoff calls in this book chapter for a fresh approach to two-generation strategies for improving child outcomes. Shonkoff says that interventions that improve adult caregivers’ executive functioning, mental health, and economic stability will help promote competence and build resilience in children. Suggested Citation: Shonkoff, J.P. (2014). A Healthy Start Before and After Birth: Applying the Biology of Adversity to Build the Capabilities of Caregivers. In K. McCartney, H. Yoshikawa, & L.B. Forcier (Eds. ), Improving the Odds for America’s Children (pp. 28-39). Suggested Citation: Shonkoff, J.P. (2014). Changing the Narrative for Early Childhood Investment. JAMA Pediatrics, 168(2), 105–106. Arguing for a “new role for biology” in early childhood policy and practice, Center Director Jack P. Shonkoff and co-author and Center Senior Fellow Philip A. Fisher call for the development of new early childhood intervention strategies based on science-driven innovation. The authors also encourage the publication of intervention studies that did not achieve positive results but could stimulate fresh thinking. Suggested Citation: Shonkoff, J.P., and Fisher, P.A. (2013). Rethinking evidence-based practice and two-generation programs to create the future of early childhood policy. Development and Psychopathology, 25(4, part 2), 1635–1653. Copyright Cambridge University Press, 2013. This commentary by Center Director Jack P. Shonkoff advocates for a new strategy for addressing the factors that contribute to intergenerational poverty. Drawing on advances in neuroscience, molecular biology, and behavioral sciences, Shonkoff proposes the use of innovative “two-generation” programs to help build the types of core adult capabilities that are critical for success as parents and as workers. Suggested citation: Shonkoff, J.P. (2013). Strengthening Adult Capacities to Improve Child Outcomes: A New Strategy for Reducing Intergenerational Poverty. Spotlight on Poverty and Opportunity: The Source for News, Ideas and Action, (April 22). Retrieved from http://spotlightonpoverty.org. This essay, co-written by Center Senior Fellow James M. Radner and Center Director Jack P. Shonkoff, describes a new approach to reducing intergenerational poverty by mobilizing science to stimulate community-driven innovation. The essay appears in the 2012 book, Investing in What Works for America’s Communities, a joint project of the Federal Reserve Bank of San Francisco and the Low Income Investment Fund. Suggested citation: Radner, J.M. and Shonkoff, J.P. (2012). Mobilizing Science to Reduce Intergenerational Poverty. Eds. N.O. Andrews and D.J. Erickson, Investing in What Works for America’s Communities (pp. 338-350). San Francisco: Federal Reserve Bank of San Francisco and Low Income Investment Fund. Drawing on emerging science about how early adversity is “built into the body” and can impair learning, behavior, and health for a lifetime, this paper, by Center Director Jack P. Shonkoff, proposes an enhanced theory of change to promote better outcomes for vulnerable young children. The article was published in the Oct. 16, 2012, print supplement (Oct. 8 online ahead of print) in Proceedings of the National Academy of Sciences of the United States of America. Suggested citation: Shonkoff, J.P. (2012). Leveraging the Biology of Adversity to Address the Roots of Disparities in Health and Development. PNAS, 109 (Suppl. 2), 17302-17307. New knowledge in the biological and social sciences offers a unifying framework that can inform innovative strategies to improve child survival and early development as well as adult outcomes in health, learning, and behavior, according to this article in the February 2012 issue of Pediatrics, whose lead author is Center Director Jack P. Shonkoff. The co-authors are Linda Richter of the Human Sciences Research Council and the University of Witwatersrand, South Africa; Jacques van der Gaag of the Center for Universal Education, Brookings Institution, and the Amsterdam Institute for International Development, University of Amsterdam, The Netherlands; and Zulfiqar A. Bhutta of the Division of Women and Child Health, Aga Khan University, Karachi, Pakistan. Suggested citation: Shonkoff, J.P., Richter, L., van der Gaag, J., and Bhutta, Z.A. (2012). An Integrated Scientific Framework for Child Survival and Early Childhood Development. Pediatrics, 129 (2), 460-472. In the January 2012 issue of Pediatrics, the American Academy of Pediatrics (AAP) calls on “the entire pediatric community…to catalyze fundamental change in early childhood policy and services.” It urges a “greater focus on those interventions and community investments that reduce external threats to healthy brain growth.” This policy statement marks the first time that the AAP has highlighted toxic stress as a topic for urgent attention. The policy statement was co-authored by Center Director Jack P. Shonkoff. Suggested citation: Garner, A.S., Shonkoff, J.P., Siegel, B.S., Dobbins, M.I., Earls, M.F., McGuinn, L., … & Wood, D.L. (2012). Early Childhood Adversity, Toxic Stress, and the Role of the Pediatrician: Translating Developmental Science Into Lifelong Health. Pediatrics, 129 (1), 224-231. Early adversity—physical or emotional abuse, chronic neglect, caregiver substance abuse or mental illness, exposure to violence, family economic hardship—is known to increase the risks of disease and life-threatening behaviors later in life. Now, scientific advances provide solid evidence of how this occurs and underscore an urgent need to enhance existing strategies for promoting health and preventing disease across the lifespan. Appearing in the January 2012 issue of Pediatrics, this technical report was co-authored by Center Director Jack P. Shonkoff. Suggested citation: Shonkoff, J.P., Garner, A.S., Siegel, B.S., Dobbins, M.I., Earls, M.F., McGuinn, L., … & Wood, D.L. (2012). The Lifelong Effects of Early Childhood Adversity and Toxic Stress. Pediatrics, 129 (1), 232-246. In an August 2011 commentary in Science, Center Director Jack P. Shonkoff makes the case for scientists, practitioners, and policymakers to work together to design and test creative new interventions that mitigate the harmful effects of significant adversity in early childhood. Suggested citation: Shonkoff, J.P. (2011). Protecting Brains, Not Simply Stimulating Minds. Science, 333(6045), 982-983. Early exposure to fear and anxiety, due to circumstances such as abuse, maltreatment, and the persistent threat of violence, can have lasting effects on learning and development, according to this article by Center Director Jack P. Shonkoff and Nathan A. Fox, a member of the National Scientific Council on the Developing Child. Shonkoff and Fox stress the importance of policies and programs taking children’s developmental needs into account. The article appears in the June 2011 issue of Early Childhood Matters, a biannual journal published by the Bernard van Leer Foundation. Suggested citation: Fox, N.A. and Shonkoff, J.P. (2011). How Persistent Fear and Anxiety Can Affect Young Children’s Learning, Behaviour, and Health. Early Childhood Matters, (June), 8-14. A publication of the Bernard van Leer Foundation. Center Director Jack P. Shonkoff authored this article in the Winter 2011 issue of Pathways, a publication from the Stanford Center for the Study of Poverty and Inequality. In the article, Shonkoff describes how poverty harms the cognitive development of children and impairs the biological “memories” created by gene-environment interactions, and discusses what can be done to break this entrenched cycle. Suggested citation: Shonkoff, J.P. (2011). Building a Foundation for Prosperity on the Science of Early Childhood Development. Pathways, (Winter), 10-15. Science has an important role to play in advising policymakers on crafting effective responses to social problems that affect the development of children, according to this article co-authored by Center Director Jack P. Shonkoff and Susan Nall Bales, a contributing member of both the National Scientific Council on the Developing Child and the National Forum on Early Childhood Policy and Programs. The article appears in the January/February 2011 issue of Child Development. Suggested citation: Shonkoff, J.P. and Bales, S.N. (2011). Science Does Not Speak for Itself: Translating Child Development Research for the Public and Its Policymakers. Child Development, 82 (1), 17-32. This article, by Center Director Jack P. Shonkoff and Pat Levitt, science director of the National Scientific Council on the Developing Child, advocates for greater synergy between neuroscience and innovation in early childhood policy to improve life outcomes for children experiencing significant adversity. The article appears in the September 9, 2010 issue of Neuron. Suggested citation: Shonkoff, J.P. and Levitt, P. (2010). Neuroscience and the Future of Early Childhood Policy: Moving from Why to What and How. Neuron, 67 (5), 689-691. This commentary article by Center Director Jack P. Shonkoff offers an integrated, biodevelopmental framework for understanding the antecedents and causal pathways that lead to disparities in health, learning, and behavior. This knowledge can inform the development of enhanced theories of change to drive innovation in policies and programs. The article appears in Child Development (January/February 2010), the journal of the Society for Research in Child Development, as part of a special section, “The Effects of Early Experience on Development,” edited by National Scientific Council on the Developing Child member Nathan Fox and Sir Michael Rutter of Kings College, London. Suggested citation: Shonkoff, J.P. (2010). Building a New Biodevelopmental Framework to Guide the Future of Early Childhood Policy. Child Development, 81 (1), 357-367. Center Director Jack P. Shonkoff writes, “It is time for policymakers to strengthen efforts to equalize opportunities for all young children by leveraging the science of child development and its underlying neurobiology to create the framework for a new era of innovation in early childhood policy and practice.” This article appears in the Fall 2009 edition of Issues in Science and Technology from the National Academy of Sciences. Suggested citation: Shonkoff, J. (2009). Mobilizing Science to Revitalize Early Childhood Policy. Issues in Science and Technology, 26(1), 79-85. Retrieved from http://www.jstor.org/stable/43315005. The origins of many adult diseases can be traced to negative experiences early in life, so confronting the causes of adversity before and shortly after birth may be a promising way to improve adult health and reduce premature deaths, according to this article written by Jack P. Shonkoff, M.D., W. Thomas Boyce, M.D., Bruce S. McEwen, Ph.D., all members of the National Scientific Council on the Developing Child, and published in the June 3, 2009 issue of JAMA: The Journal of the American Medical Association. Suggested citation: Shonkoff, J.P., Boyce, W.T., McEwen, B.S. (2009). Neuroscience, Molecular Biology, and the Childhood Roots of Health Disparities: Building a New Framework for Health Promotion and Disease Prevention. JAMA, 301 (21), 2252-2259. Early experiences have a powerful influence on the development of cognitive and social skills, as well as on brain architecture and neurochemistry. Thus, the most efficient strategy for strengthening the future workforce, both economically and neurobiologically, and for improving its quality of life is to invest in the environments of disadvantaged children during the early childhood years. This article by Eric I. Knudsen, James J. Heckman, Judy L. Cameron, and Center Director Jack P. Shonkoff was published on the websites of the Proceedings of the National Academy of Sciences (PNAS) and the Institute for the Study of Labor, and in the July-September 2006 issue of World Economics. Suggested citation: Knudsen, E.I., Heckman, J.J., Cameron, J.L., and Shonkoff, J.P. (2006). Economic, neurobiological, and behavioral perspectives on building America’s future workforce. PNAS, 103 (27), 10155-10162. Retrieved from https://developingchild.harvard.edu. This book, edited by Center Director Jack P. Shonkoff and former Council member Deborah A. Phillips, presents important findings about the effects of genetics, environment, and early stress on brain architecture, the impact of politics on programs for children, and the costs and benefits of intervention. From Neurons to Neighborhoods examines an extensive, multi-disciplinary body of research and issues a series of challenges to decision makers regarding the quality of child care, issues of racial and ethnic diversity, the integration of children’s cognitive and emotional development, and more. Suggested citation: National Research Council and Institute of Medicine. (2000). From Neurons to Neighborhoods: The Science of Early Childhood Development. Committee on Integrating the Science of Early Childhood Development. Eds. J.P. Shonkoff and D.A. Phillips. Board on Children, Youth, and Families, Commission on Behavioral and Social Sciences and Education. Washington, D.C.: National Academy Press.